Having healthy eyes starts with having a healthy heart. Here is something that many of us don’t realize. The arrangement of blood vessels at the back of the eyes are closely connected to the health of the heart. 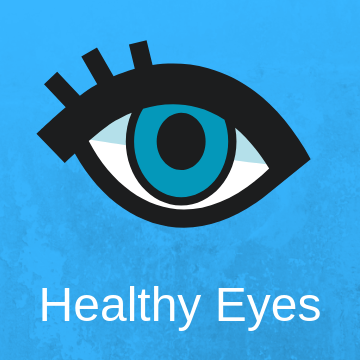 This means that cardiovascular and eye diseases share the same underlying causes. Not only the same causes, but that means the same treatments as well. At the root of many of these diseases is inflammation. There are many diseases which your eye doctor can help detect through an annual comprehensive eye exam. Inflammation is just one. Recently there was a survey conducted by VSP Vision Care and YouGov. According to this survey, less than 1% of those surveyed knew that the eye would reveal serious diseases. Serious diseases and conditions like high blood pressure and high cholesterol. These diseases affect both the heart and the eyes. And they can be detected through an eye exam. Sadly, if conditions like these are left untreated, they can cause serious eye diseases such as hypertensive retinopathy, diabetic retinopathy, retinal vein and artery occlusion, and macular degeneration. This is just to name a few. All of these can cause vision issues or loss if they are left untreated. Those practicing optometry have seen a range of heart-related eye diseases. Their patients often come in with a complaint of blurry vision. Most are completely unaware of the state of their overall health and how their blurry vision may be caused by an underlying condition. Other heart diseases, such as bacterial endocarditis, stroke, high cholesterol and diabetes can also be detected through an eye exam. By recognizing and detecting these linked cardiovascular and eye diseases, health practitioners have a more comprehensive way of providing preventive care to patients. The next time you’re due for an annual eye exam, remember your overall health. Your eyes and heart will thank you later. Virtually no one knows that signs of serious diseases and conditions like high blood pressure, high cholesterol, thyroid diseases, and certain types of cancers can be detected through an eye exam. It is a fact that our eyes and our overall health are all connected. It is our eye doctors that are frequently the first to detect signs of abnormal health conditions. During an eye exam, eye doctors have an unobstructed view of blood vessels and the optic nerve which is an extension of the brain. In addition to the serious diseases noted above, they are also routinely checking for dry eyes, digital eye strain, cataracts, diabetic retinopathy, glaucoma, macular degeneration, and so much more. Regardless of age or physical health, eye exams can identify early signs of eye conditions before they impair your vision or cause permanent vision loss. Many of us agree with the importance of an annual eye exam. We understand that it is a necessary part of their overall health plan. If your vision is important to you and you want to protect it, schedule an eye exam with your local eye doctor and have your eyes examined. While you are at it, remember that your kids need regular eye exams too! A majority of all learning is visual. Vision screenings performed at school or at the pediatrician’s office are not meant to be a comprehensive exam.